Immerse yourself and be three times closer to the action with the saxon 3x25 Opera Glasses with Light. Featuring 3x magnification and 25mm objective lens in an extremely compact aluminium body, these opera glasses provide seamless viewing comfort with its focus-free mechanism and LED lighting. Indulge in what the theater or opera has to offer you and let these glasses be your best companion. You will marvel at the exquisite design of the saxon 3x25 Opera Glasses with Light. 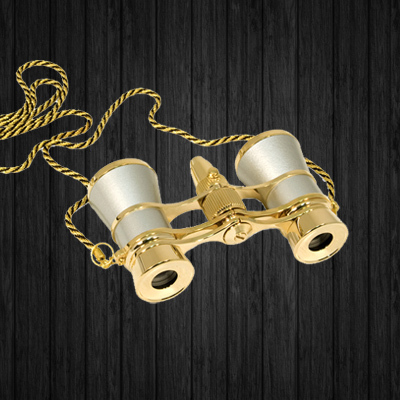 This pocket-sized opera glasses comes in a silver finish, with a magnification of 3x and objective lens of 25mm to bring you a closer view of the performance on stage. The built-in LED light is useful for a quick read of the program, or for finding your seat in the dark.